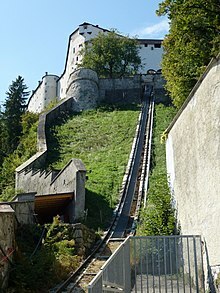 In 1515, Cardinal Matthäus Lang wrote a description of the Reisszug, a funicular railway at the Hohensalzburg Fortress in Austria. The line originally used wooden rails and a hemp haulage rope and was operated by human or animal power, through a treadwheel. The line still exists and is operational, although in updated form and is possibly the oldest operational railway. The Middleton Railway in Leeds, which was built in 1758, later became the world's oldest operational railway (other than funiculars), albeit now in an upgraded form. In 1764, the first railway in the Americas was built in Lewiston, New York. In 1896, Oerlikon installed the first commercial example of the system on the Lugano Tramway. Each 30-tonne locomotive had two 110 kW (150 hp) motors run by three-phase 750 V 40 Hz fed from double overhead lines. 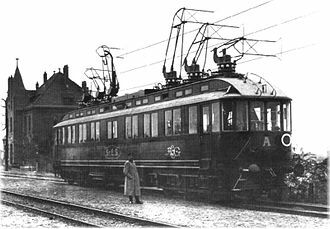 Three-phase motors run at constant speed and provide regenerative braking, and are well suited to steeply graded routes, and the first main-line three-phase locomotives were supplied by Brown (by then in partnership with Walter Boveri) in 1899 on the 40 km Burgdorf–Thun line, Switzerland. The first electrified high-speed rail Tōkaidō Shinkansen was introduced in 1964 between Tokyo and Osaka in Japan. Since then high-speed rail transport, functioning at speeds up to and above 300 km/h, has been built in Japan, Spain, France, Germany, Italy, the People's Republic of China, Taiwan (Republic of China), the United Kingdom, South Korea, Scandinavia, Belgium and the Netherlands. The construction of many of these lines has resulted in the dramatic decline of short haul flights and automotive traffic between connected cities, such as the London–Paris–Brussels corridor, Madrid–Barcelona, Milan–Rome–Naples, as well as many other major lines. Traditionally, trains are pulled using a locomotive. This involves one or more powered vehicles being located at the front of the train, providing sufficient tractive force to haul the weight of the full train. This arrangement remains dominant for freight trains and is often used for passenger trains. A push–pull train has the end passenger car equipped with a driver's cab so that the engine driver can remotely control the locomotive. This allows one of the locomotive-hauled train's drawbacks to be removed, since the locomotive need not be moved to the front of the train each time the train changes direction. A railroad car is a vehicle used for the haulage of either passengers or freight. Due to these benefits, rail transport is a major form of passenger and freight transport in many countries. It is ubiquitous in Europe, with an integrated network covering virtually the whole continent. In India, China, South Korea and Japan, many millions use trains as regular transport. In North America, freight rail transport is widespread and heavily used, but intercity passenger rail transport is relatively scarce outside the Northeast Corridor, due to increased preference of other modes, particularly automobiles and airplanes. [page needed] South Africa, northern Africa and Argentina have extensive rail networks, but some railways elsewhere in Africa and South America are isolated lines. Australia has a generally sparse network befitting its population density but has some areas with significant networks, especially in the southeast. In addition to the previously existing east-west transcontinental line in Australia, a line from north to south has been constructed. The highest railway in the world is the line to Lhasa, in Tibet, partly running over permafrost territory. Western Europe has the highest railway density in the world and many individual trains there operate through several countries despite technical and organizational differences in each national network. the energies of a generation, for it required all the new machinery to be created – capital, banks, mines, furnaces, shops, power-houses, technical knowledge, mechanical population, together with a steady remodelling of social and political habits, ideas, and institutions to fit the new scale and suit the new conditions. The generation between 1865 and 1895 was already mortgaged to the railways, and no one knew it better than the generation itself. The impact can be examined through five aspects: shipping, finance, management, careers, and popular reaction. First they provided a highly efficient network for shipping freight and passengers across a large national market. The result was a transforming impact on most sectors of the economy including manufacturing, retail and wholesale, agriculture, and finance. The United States now had an integrated national market practically the size of Europe, with no internal barriers or tariffs, all supported by a common language, and financial system and a common legal system. Railroads financing provided the basis for a dramatic expansion of the private (non-governmental) financial system. Construction of railroads was far more expensive than factories. In 1860, the combined total of railroad stocks and bonds was $1.8 billion; 1897 it reached $10.6 billion (compared to a total national debt of $1.2 billion). 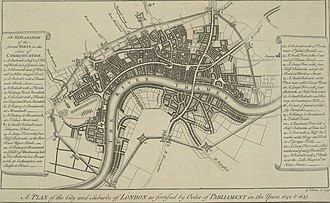 Funding came from financiers throughout the Northeast, and from Europe, especially Britain. About 10 percent of the funding came from the government, especially in the form of land grants that could be realized when a certain amount of trackage was opened. The emerging American financial system was based on railroad bonds. New York by 1860 was the dominant financial market. 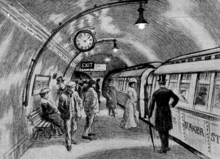 The British invested heavily in railroads around the world, but nowhere more so than the United States; The total came to about $3 billion by 1914. In 1914–1917, they liquidated their American assets to pay for war supplies. Railroad management designed complex systems that could handle far more complicated simultaneous relationships than could be dreamed of by the local factory owner who could patrol every part of his own factory in a matter of hours. Civil engineers became the senior management of railroads. The leading American innovators were the Western Railroad of Massachusetts and the Baltimore and Ohio Railroad in the 1840s, the Erie in the 1850s and the Pennsylvania in the 1860s. The railroads invented the career path in the private sector for both blue-collar workers and white-collar workers. Railroading became a lifetime career for young men; women were almost never hired. A typical career path would see a young man hired at age 18 as a shop laborer, be promoted to skilled mechanic at age 24, brakemen at 25, freight conductor at 27, and passenger conductor at age 57. White-collar careers paths likewise were delineated. Educated young men started in clerical or statistical work and moved up to station agents or bureaucrats at the divisional or central headquarters. At each level they had more and more knowledge, experience, and human capital. They were very hard to replace, and were virtually guaranteed permanent jobs and provided with insurance and medical care. Hiring, firing, and wage rates were set not by foremen, but by central administrators, in order to minimize favoritism and personality conflicts. Everything was done by the book, whereby an increasingly complex set of rules dictated to everyone exactly what should be done in every circumstance, and exactly what their rank and pay would be. By the 1880s the career railroaders were retiring, and pension systems were invented for them. Railways contribute to social vibrancy and economic competitiveness by transporting multitudes of customers and workers to city centres and inner suburbs. Hong Kong has recognized rail as "the backbone of the public transit system" and as such developed their franchised bus system and road infrastructure in comprehensive alignment with their rail services. China's large cities such as Beijing, Shanghai, and Guangzhou recognize rail transit lines as the framework and bus lines as the main body to their metropolitan transportation systems. The Japanese Shinkansen was built to meet the growing traffic demand in the "heart of Japan's industry and economy" situated on the Tokyo-Kobe line. Railways channel growth towards dense city agglomerations and along their arteries, as opposed to highway expansion, indicative of the U.S. transportation policy, which encourages development of suburbs at the periphery, contributing to increased vehicle miles travelled, carbon emissions, development of greenfield spaces, and depletion of natural reserves. These arrangements revalue city spaces, local taxes, housing values, and promotion of mixed use development. The construction of the first railway of the Austro-Hungarian empire, from Vienna to Prague, came in 1837-1842 to promises of new prosperity. Construction proved more costly than anticipated, and it brought in less revenue because local industry did not have a national market. In town after town the arrival of railway angered the locals because of the noise, smell, and pollution caused by the trains and the damage to homes and the surrounding land caused by the engine's soot and fiery embers. Almost all travel was local; ordinary people seldom had need of passenger trains. A 2018 study found that the opening of the Beijing Metro caused a reduction in "most of the air pollutants concentrations (PM2.5, PM10, SO2, NO2, and CO) but had little effect on ozone pollution." According to the 2017 European Railway Performance Index for intensity of use, quality of service and safety performance, the top tier European national rail systems consists of Switzerland, Denmark, Finland, ­Germany, Austria, Sweden, and France. Performance levels reveal a positive correlation between public cost and a given railway system’s performance, and also reveal differences in the value that countries receive in return for their public cost. Denmark, Finland, France, Germany, the Netherlands, Sweden, and Switzerland capture relatively high value for their money, while Luxembourg, Belgium, Latvia, Slovakia, Portugal, Romania, and Bulgaria underperform relative to the average ratio of performance to cost among European countries. In 2016 Russian Railways received 94.9 billion roubles (around US$1.4 billion) from the government. ^ Fraser, P. M. (December 1961). "The ΔΙΟΛΚΟΣ of Alexandria". The Journal of Egyptian Archaeology. 47: 134–138. doi:10.2307/3855873. ^ "Der Reiszug: Part 1 – Presentation". Funimag. Retrieved 2009-04-22. ^ Kriechbaum, Reinhard (2004-05-15). "Die große Reise auf den Berg". der Tagespost (in German). Archived from the original on 2012-06-28. Retrieved 2009-04-22. ^ Georgius Agricola (trans Hoover), De re metallica (1913), p. 156. ^ Lee, Charles E. (1943). The Evolution of Railways (2 ed.). London: Railway Gazette. p. 16. OCLC 1591369. ^ Lewis, Early wooden railways, pp. 8–10. ^ Jones, Mark (2012). Lancashire Railways – The History of Steam. Newbury: Countryside Books. p. 5. ISBN 978 1 84674 298 9. ^ Peter King, The First Shropshire Railways in G. Boyes (ed. ), Early Railways 4: Papers from the 4th International Early Railways Conference 2008 (Six Martlets, Sudbury, 2010), pp. 70–84. ^ "Huntingdon Beaumont's Wollaton to Strelley Waggonway". Nottingham Hidden History. 2013-07-30. Retrieved 23 August 2017. ^ "Surrey Iron Railway 200th – 26th July 2003". Early Railways. Stephenson Locomotive Society. Archived from the original on 12 May 2009. ^ Landes, David. S. (1969). The Unbound Prometheus: Technological Change and Industrial Development in Western Europe from 1750 to the Present. Cambridge, New York: Press Syndicate of the University of Cambridge. p. 91. ISBN 978-0-521-09418-4. ^ Rosenberg, Nathan (1982). Inside the Black Box: Technology and Economics. Cambridge, New York: Cambridge University Press. p. 60. ISBN 978-0-521-27367-1. ^ Gordon, W. J. (1910). Our Home Railways, volume one. London: Frederick Warne and Co. pp. 7–9. 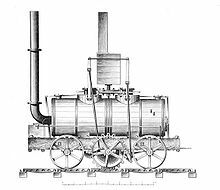 ^ "Richard Trevithick's steam locomotive". National Museum Wales. Archived from the original on 15 April 2011. ^ Hamilton Ellis (1968). The Pictorial Encyclopedia of Railways. The Hamlyn Publishing Group. p. 12. ^ Hamilton Ellis (1968). The Pictorial Encyclopedia of Railways. The Hamlyn Publishing Group. pp. 20–22. ^ "Richmond Union Passenger Railway". IEEE History Center. Retrieved 2008-01-18. ^ Elektrotechnische Zeitschrift: Beihefte, Volumes 11–23. VDE Verlag. 1904. p. 163. ^ a b Hungarian Patent Office. "Kálmán Kandó (1869–1931)". www.mszh.hu. Retrieved 2008-08-10. ^ Duffy (2003), p. 273. ^ Lemp, Hermann. U.S. Patent No. 1,154,785, filed April 8, 1914, and issued September 28, 1915. Accessed via Google Patent Search at: US Patent #1,154,785 on February 8, 2007. ^ "French train breaks speed record". CNN. Associated Press. 4 April 2007. Archived from the original on 7 April 2007. Retrieved 3 April 2007. ^ Fouquet, Helene & Viscousi, Gregory (3 April 2007). "French TGV Sets Record, Reaching 357 Miles an Hour (Update2)". Bloomberg L.P. Retrieved 8 May 2011. ^ "Environmental Issues". The Environmental Blog. 3 April 2007. Archived from the original on 11 January 2012. Retrieved 10 October 2010. ^ a b EuDaly, Kevin; et al. (2009). The Complete Book of North American Railroading. Minneapolis: Voyageur Press. ISBN 978-0-7603-2848-4. OCLC 209631579. ^ "Statistics database for transports". epp.eurostat.ec.europa.eu (statistical database). Eurostat, European Commission. 20 April 2014. Archived from the original on 3 June 2012. Retrieved 12 May 2014. ^ Vojtech Eksler, ed. (5 May 2013). "Intermediate report on the development of railway safety in the European Union 2013" (PDF). www.era.europa.eu (report). Safety Unit, European Railway Agency & European Union. p. 1. Retrieved 12 May 2014. ^ American Association of Railroads. "Railroad Fuel Efficiency Sets New Record". Retrieved 12 April 2009. ^ Publicada por João Pimentel Ferreira. "Carro ou comboio?". Veraveritas.eu. Retrieved 2015-01-03. ^ "Public Transportation Ridership Statistics". American Public Transportation Association. 2007. Archived from the original on 15 August 2007. Retrieved 10 September 2007. ^ "New height of world's railway born in Tibet". Xinhua News Agency. 24 August 2005. Retrieved 8 May 2011. ^ Tony Judt, When the Facts Change: Essays 1995–2010 (2015) pp. 287–288. ^ Adams, Henry (1918). "The Press (1868)". The Education of Henry Adams. 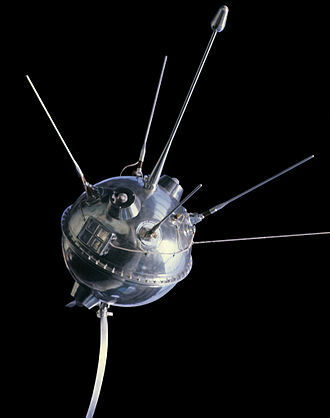 p. 240. Retrieved May 11, 2017. ^ Licht, Walter (1983). Working for the Railroad: The Organization of Work in the Nineteenth Century. pp. 262–263, 289. ^ Guo, Shihong; Chen, Liqiang (2018-10-07). "Can urban rail transit systems alleviate air pollution? Empirical evidence from Beijing". Growth and Change. doi:10.1111/grow.12266. ISSN 0017-4815. ^ Firzli, M. Nicolas J. (1 July 2013). "Transportation Infrastructure and Country Attractiveness". Revue Analyse Financière. Paris. Retrieved 26 April 2014. ^ "Govt support for rail sector makes sense". ^ Praveen Patil. "Rail Budget And The Perpetuity Of Indian Socialism". ^ "Govt defends fare hike, says rail subsidy burden was too heavy". 22 June 2014. Retrieved 30 June 2016. ^ "Efficiency indicators of Railways in France" (PDF). Archived from the original (PDF) on 17 November 2015. ^ "The age of the train" (PDF). ^ "The evolution of public funding to the rail sector in 5 European countries – a comparison" (PDF). p. 6. ^ a b "European rail study report" (PDF). pp. 44, 45. Archived from the original (PDF) on 3 May 2013. Includes both "Railway subsidies" and "Public Service Obligations". ^ "Government support for Russian Railways". Pipeline transport is the transportation of goods or material through a pipe. The latest data, in 2014, gives a total of less than 2,175,000 miles of pipeline in 120 countries of the world. The United States had 65%, Russia had 8%, and Canada had 3%, Pipeline and Gas Journal’s worldwide survey figures indicate that 118,623 miles of pipelines are planned and under construction. Of these,88,976 miles represent projects in the planning and gases are transported in pipelines and any chemically stable substance can be sent through a pipeline. Pipelines exist for the transport of crude and refined petroleum, fuels - such as oil, natural gas and biofuels - and other fluids including sewage, water, pneumatic tubes using compressed air can be used to transport solid capsules. 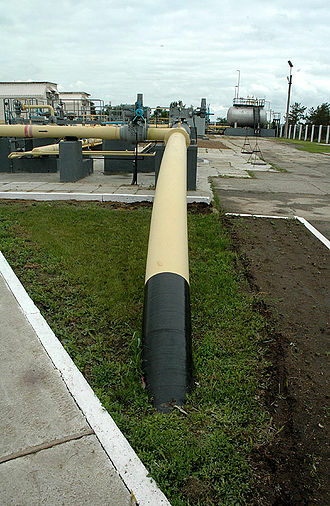 Oil pipelines are made from steel or plastic tubes which are usually buried, the oil is moved through the pipelines by pump stations along the pipeline. Natural gas are lightly pressurised into liquids known as Natural Gas Liquids, Natural gas pipelines are constructed of carbon steel. Highly toxic ammonia is theoretically the most dangerous substance to be transported through long-distance pipelines, hydrogen pipeline transport is the transportation of hydrogen through a pipe. District heating or teleheating systems use a network of insulated pipes which transport heated water, pipelines conveying flammable or explosive material, such as natural gas or oil, pose special safety concerns and there have been various accidents. Pipelines can be the target of vandalism, sabotage, or even terrorist attacks, in war, pipelines are often the target of military attacks. It is uncertain when the first crude oil pipeline was built, pipelines are generally the most economical way to transport large quantities of oil, refined oil products or natural gas over land. Natural gas are lightly pressurized into liquids knows as Natural Gas Liquids, small NGL processing facilities can be located in oil fields so the butane and propane liquid under light pressure of 125 pounds per square inch, can be shipped by rail, truck or pipeline. A railway has two major components, the rolling stock and the infrastructure. The operation of the railway is through a system of control, originally by mechanical means, signalling systems used to control the movement of traffic may be either of fixed block or moving block variety. Fixed block signalling Most blocks are fixed blocks, i. e. they delineate a section of track between two defined points, on timetable, train order, and token-based systems, blocks usually start and end at selected stations. On signalling-based systems, blocks start and end at signals. Alternatively, cab signalling may be in use, the lengths of blocks are designed to allow trains to operate as frequently as necessary. A lightly used line might have blocks many kilometres long. Moving block signalling A disadvantage of fixed blocks is that the trains are permitted to run, the longer the stopping distance. 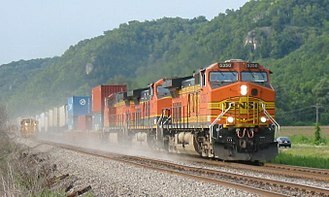 With moving block, computers are used to calculate a safe zone, behind each moving train, the system depends on precise knowledge of where each train is and how fast it is moving. With moving block, lineside signals are not provided, and instructions are passed direct to the trains and it has the advantage of increasing track capacity by allowing trains to run much closer together. Most rail systems serve a number of functions on the track, carrying local, long distance and commuter passenger trains. The emphasis on each varies by country, some urban rail transit, rapid transit and light rail systems are isolated from the national system in the cities they serve. Some freight lines serving mines are isolated, and these are owned by the mine company. 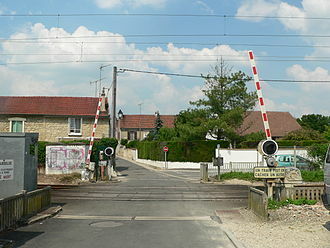 An industrial railway is a rail system used inside factories or mines. Steep grade railways are isolated, with special safety systems. The permanent way trails through the physical geography, the tracks geometry is limited by the physical geography. Trains are pushed/pulled by one or more locomotive units, two or more locomotives coupled in multiple traction are frequently used in freight trains. Railroad cars or rolling stock consist of cars, freight cars, maintenance cars. 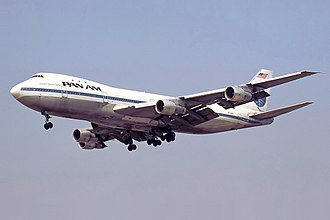 Aviation is the practical aspect or art of aeronautics, being the design, production and use of aircraft, especially heavier than air aircraft. 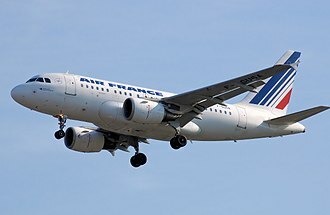 The word aviation was coined by French writer and former naval officer Gabriel La Landelle in 1863, from the verb avier, itself derived from the Latin word avis and the suffix -ation. The modern age of aviation began with the first untethered human lighter-than-air flight on November 21,1783, the practicality of balloons was limited because they could only travel downwind. It was immediately recognized that a steerable, or dirigible, balloon was required, jean-Pierre Blanchard flew the first human-powered dirigible in 1784 and crossed the English Channel in one in 1785. Rigid airships became the first aircraft to transport passengers and cargo over great distances, the best known aircraft of this type were manufactured by the German Zeppelin company. The most successful Zeppelin was the Graf Zeppelin and it flew over one million miles, including an around-the-world flight in August 1929. However, the dominance of the Zeppelins over the airplanes of that period, the Golden Age of the airships ended on May 6,1937 when the Hindenburg caught fire, killing 36 people. The cause of the Hindenburg accident was blamed on the use of hydrogen instead of helium as the lift gas. An internal investigation by the manufacturer revealed the coating used to protect the material over the frame was highly flammable. Changes to the coating formulation reduced the risk of further Hindenburg type accidents, although there have been periodic initiatives to revive their use, airships have seen only niche application since that time. In 1799 Sir George Cayley set forth the concept of the airplane as a fixed-wing flying machine with separate systems for lift, propulsion. Seven years later, on 14 October 1897, Aders Avion III was tested without success in front of two officials from the French War ministry, the report on the trials was not publicized until 1910, as they had been a military secret. 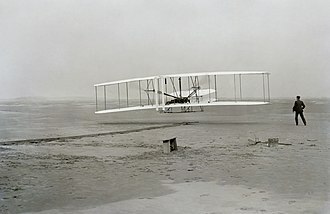 In November 1906 Ader claimed to have made a flight on 14 October 1897. The type will be used initially on the Great Western Main Line, running from London to Plymouth and Penzance along with the HSTs. In mid 2015, First Great Western announced that it had secured the procurement of 173 new rail vehicles from Hitachi Rail, at the time, FGW was beginning the process of introducing a brand new fleet of intercity trains as part of the Governments Intercity Express Programme. This project involved the procurement of both wholly electric units, and bi-mode trains, capable of running either using OHLE or on-board diesel traction and these trains were intended to replace the existing High Speed Trains following the electrification of the Great Western Main Line. However, electrification will only go as far as Bristol, with the route beyond requiring diesel traction, the purchase of 173 additional vehicles was with the intention that these new bi-mode trains, similar to the Class 800s, would be used on services into Devon and Cornwall. These new trains would consist of 22 five-car and seven nine-car units, the option for a further 150 vehicles would be formed into another 30 five-car units. The route contains segments of high-speed rail, and Acela Express trains are the fastest trainsets in the Americas, they attain 150 mph on 28 miles of the route. Acela trains use tilting technology, which helps control lateral centrifugal forces, over this route and the Northeast Regional line captured a 75% share of air/train commuters between New York and Washington in 2011, up from 37% in 2000. Due to this competition, one airline canceled service between Washington and New York, on other portions Acela is limited by both traffic and infrastructure. On the 231-mile section from Bostons South Station to New Yorks Penn Station, along this section, Acela has still captured 54% share of the combined train and air market. The entire 457-mile route from Boston to Washington takes 7 hours, Acela carried more than 3.4 million passengers in fiscal year 2015, second only to the slower and cheaper Northeast Regional, which had over 8 million passengers in FY2015. Its 2015 revenue of $585 million was 25% of Amtraks total, the present Acela Express equipment will be replaced by new Avelia Liberty trainsets beginning in 2021, with all current trains to retire by the end of 2022. The new trainsets, manufactured by Alstom, will have 30% higher seating capacity than the current trains, the new fleet will have 28 trains versus the current 20, allowing for hourly New York-Boston service all day and half-hourly New York-Washington service at peak hours. During the 1980s the US Federal Railroad Administration explored the possibilities of high-speed rail in the United States, on December 18,1991, five potential high speed rail corridors were authorized including the Northeast Corridor. 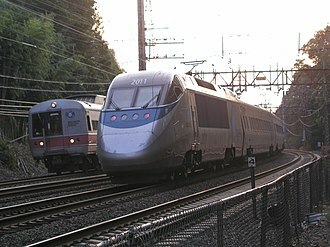 Amtrak asked railway equipment manufacturers to submit proposals, an X2000 train was leased from Sweden for test runs from October 1992 to January 1993. It was operated from Washington DC to New York City from February to May, Siemens showed the ICE1 train from Germany, organizing the ICE Train North America Tour which started to operate on the Northeast Corridor on July 3,1993. This testing allowed Amtrak to define a set of specifications that went into a tender in October 1994. On March 9,1999, Amtrak unveiled its plan for a high-speed train, twenty new trains were to run on the Northeast Corridor. Road transport or road transportation is the transport of passengers or goods on roads. This transport method can be via bike or automobiles or by such as horse or oxen. Standard networks of roads were adopted by Romans, Aztec, modern roads came into adoption during the late 1700s with civil engineering. Cargo may be transported by trucking companies, while passengers may be transported via mass transit, commonly defined features of modern roads include defined lanes and signage. 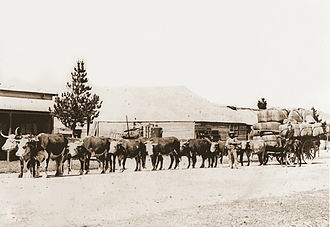 Within the United States, roads between regions are connected via the Interstate Highway System, the first methods of road transport were horses, oxen or even humans carrying goods over dirt tracks that often followed game trail. The Persians built a network of Royal Roads across their empire, to resolve this issue, the Romans built great roads. The Roman roads used deep roadbeds of crushed stone as a layer to ensure that they kept dry, as the water would flow out from the crushed stone. 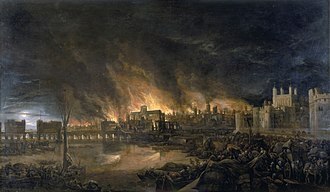 The Islamic Caliphate built tar-paved roads in Baghdad, as states developed and became richer, especially with the Renaissance, new roads and bridges began to be built, often based on Roman designs. Although there were attempts to rediscover Roman methods, there was little innovation in road building before the 18th century. 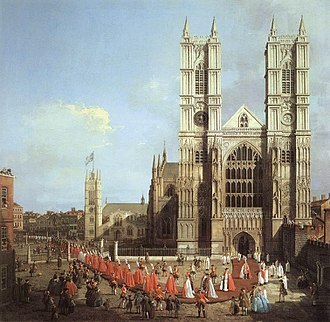 Starting in the early 18th century, the British Parliament began to pass a series of acts that gave the local powers to erect toll-gates on the roads. The toll-gate erected at Wades mill became the first effective toll-gate in England, the first scheme that had trustees who were not justices was established through a Turnpike Act in 1707, for a section of the London-Chester road between Foothill and Stony Stafford. This became the pattern for the turn piking of a number of highways. The quality of turnpike roads was varied. Although turn piking did result in some improvement to each highway, the used to deal with geological features, drainage. Road construction improved slowly, initially through the efforts of individual surveyors such as John Metcalf in Yorkshire in the 1760s, British turnpike builders began to realize the importance of selecting clean stones for surfacing, and excluding vegetable material and clay to make better lasting roads. This page contains a list of terms and slang used to varying degrees by railfans and railroad employees in the United States and Canada. Although not exhaustive, many of the entries in this list appear from time to time in specialist, inclusion of a term in this list does not necessarily imply its universal adoption by all railfans and railroad employees, and there may be significant regional variation in usage. 10 wheeler A steam locomotive with a 4-6-0 wheel arrangement 241 Procession of a train past a signal with verbal permission from the dispatcher. Derives from Rule 241, which is used to grant such permission under certain rule sets, there are no manned services offered at these small stations. By analogy with U-boat, since with the Dash 7 line, the Soo covered up the Milwaukee Road name and logo on the orange locomotives with black paint, causing them to resemble bandits. Also often applied to similarly patched, second-hand locomotives, especially if the patches are crudely applied, a nickname for Guilford Rail System, in reference to the large G emblem on their locomotives and boxcars 2. Great Northern Railway Big hole When a train suffers a loss of all brake air and it refers to the air ports in the automatic brake valve, the emergency portion being the biggest port or hole. Bluebonnet One of two Santa Fe paint schemes, the standard freight scheme from 1972 until the BNSF merger was dark blue with yellow on the front, with the same color division as the warbonnet scheme. It is known as Yellowbonnet, although a Slug and a B unit differ in terms of an engine, both serve the purpose of adding more tractive effort. A brakeman manually activated brakes on railroad cars before the advent of air brakes, sometimes built out of an ordinary automobile body, with flanged wheels added. It was driven by engines from 30 to 200 horsepower. Cadillac A nickname for EMD SD9 locomotives, in reference to their ride quality reminiscent of a Cadillac automobile. This nickname is said to have originated on the Southern Pacific Railroad, not a slug, it has its own diesel engine. Can Opener Conrails herald Car knocker Railroad car repair-person or car inspector, the term is derived from a worker who taps or knocks on railroad equipment to check its soundness. A train is a form of rail transport consisting of a series of vehicles that usually runs along a rail track to transport cargo or passengers. Motive power is provided by a locomotive or individual motors in self-propelled multiple units. Although historically steam propulsion dominated, the most common forms are diesel and electric locomotives. Other energy sources include horses, engine or water-driven rope or wire winch, pneumatics, the word train comes from the Old French trahiner, from the Latin trahere pull, draw. There are various types of trains that are designed for particular purposes, a train may consist of a combination of one or more locomotives and attached railroad cars, or a self-propelled multiple unit. The first trains were rope-hauled, gravity powered or pulled by horses, from the early 19th century almost all were powered by steam locomotives. 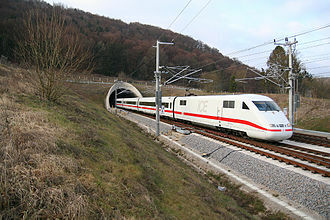 A passenger train is one which includes passenger-carrying vehicles which can often be very long, one notable and growing long-distance train category is high-speed rail. 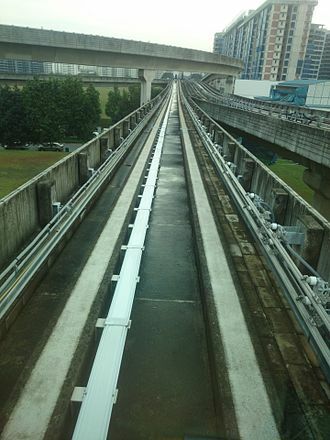 In order to much faster operation over 500 km/h, innovative Maglev technology has been researched for years. In most countries, such as the United Kingdom, the distinction between a tramway and a railway is precise and defined in law, a freight train uses freight cars to transport goods or materials. Freight and passengers may be carried in the train in a mixed consist. 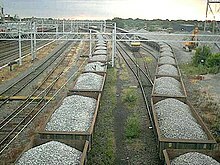 Rail cars and machinery used for maintenance and repair of tracks, etc. are termed maintenance of way equipment, dedicated trains may be used to provide support services to stations along a train line, such as garbage or revenue collection. There are various types of trains that are designed for particular purposes, a train can consist of a combination of one or more locomotives and attached railroad cars, or a self-propelled multiple unit. Trains can be hauled by horses, pulled by a cable, special kinds of trains running on corresponding special railways are atmospheric railways, high-speed railways, rubber-tired underground and cog railways. 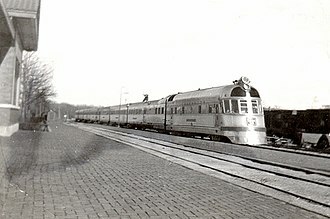 A passenger train may consist of one or several locomotives and coaches, alternatively, a train may consist entirely of passenger carrying coaches, some or all of which are powered as a multiple unit. Columbus is the capital and largest city of the U. S. state of Ohio. It is the 15th-largest city in the United States, with a population of 850,106 as of 2015 estimates and this makes Columbus the fourth-most populous state capital in the United States, and the third-largest city in the Midwestern United States. It is the city of the Columbus, Metropolitan Statistical Area. With a population of 2,021,632, it is Ohios third-largest metropolitan area, Columbus is the county seat of Franklin County. The city proper has expanded and annexed portions of adjoining Delaware County, named for explorer Christopher Columbus, the city was founded in 1812 at the confluence of the Scioto and Olentangy rivers, and assumed the functions of state capital in 1816. As of 2013, the city has the headquarters of five corporations in the U. S, fortune 500, Nationwide Mutual Insurance Company, American Electric Power, L Brands, Big Lots, and Cardinal Health. In 2012, Columbus was ranked in BusinessWeeks 50 best cities in America. In 2013, Forbes gave Columbus an A rating as one of the top cities for business in the U. S. and that included the city on its list of Best Places for Business. Columbus was ranked as the No.1 up-and-coming tech city in the nation by Forbes in 2008, and the city was ranked a top-ten city by Relocate America in 2010. In 2007, fDi Magazine ranked the city no.3 in the U. S. for cities of the future, and the Columbus Zoo and Aquarium was rated no.1 in 2009 by USA Travel Guide. The area including modern-day Columbus once comprised the Ohio Country, under the control of the French colonial empire through the Viceroyalty of New France from 1663 until 1763. 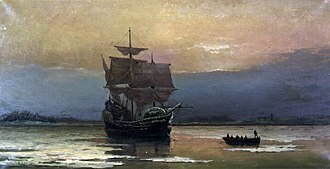 In the 18th century, European traders flocked to the area, the area found itself frequently caught between warring factions, including American Indian and European interests. In the 1740s, Pennsylvania traders overran the territory until the French forcibly evicted them, in the early 1750s, the Ohio Company sent George Washington to the Ohio Country to survey. A variable gauge system allows railway vehicles in a train to travel across a break of gauge caused by two railway networks with differing track gauges. For through-operation, a train must be equipped with special trucks holding variable gauge wheelsets containing a variable gauge axle, the gauge is altered by driving the train through a gauge changer or gauge changing facility. As the train passes through the changer, the wheels are unlocked, moved closer together, or further apart. Installed variable gauge systems exist within the network of Spain. 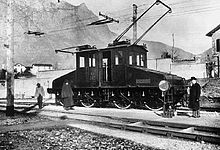 A system for changing gauge, without need for stopping is widespread for passenger traffic in Spain, used in services run on a mix of dedicated high-speed lines, similar systems for freight traffic are still rather incipient, as the higher axle weight increases the technological challenge. Variable gauge axles help solve the problem of a break-of-gauge without having to resort to dual gauge tracks or transshipment, systems allow the adjustment between two gauges. No designs supporting more than two gauges are used, there are several variable gauge axle systems, Talgo-RD. The Talgo system has been in service in Portbou and Irun, on the Spanish-French border. CAF-BRAVA The BRAVA system was designed in 1968 by the Vevey Company. 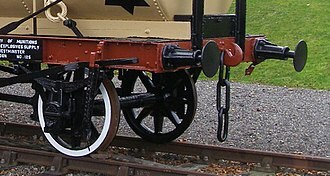 The system was called the Vevey axle. The design was obtained and improved by Construcciones y Auxiliar de Ferrocarriles. Being developed in 2002 for use between Europe and Russia, Japan Railways RTRI to be used on motorised axles. PKP SUW2000 system produced by ZNTK Poznań for Polish State Railways, the Montreux-Oberland Bernois railway, Switzerland in preparation by Prose of Winterthur 1,435 mm /1,000 mm. The variable gauge systems are not themselves all compatible, only the SUW2000 and Rafil Type V systems are interoperable. In 2009, at Roda de Barà near Tarragona, a Unichanger capable of four different VGA systems was under development. VGA is particularly important with international railway traffic because gauge changes tend to more often at international borders. Different types of railroad rolling stock have different couplers depending on the purpose and type of equipment being used and its intended destination. 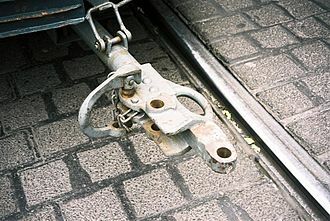 European rolling stock tend to use buffers and chain couplers while American rolling stock uses a Janney coupler or knuckle coupler and it is possible to mount both buffers and chain and knuckle couplers on the same car, provided that one can swing out of the way. Alternatively, either a lug to hold the chain is cast in the body of the coupler or a chain is mounted on top of the coupler and this is done with an SA3 coupler built by SAB WABCO. The screw coupling is mounted on a hinge on the side of the knuckle coupler. Most Indian freight cars use the knuckle coupler alone, without buffers, exceptions are the new LHB coaches imported from Europe, and a few other makes of carriages converted to use knuckle couplers. Some Russian locomotives and wagons have buffers together with the central coupler, british locomotive-hauled passenger carriages adopted a dual coupling system in the 1950s. 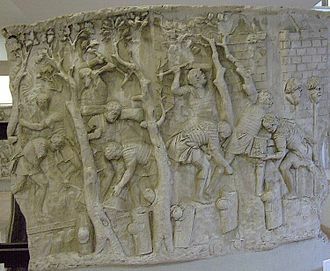 Road construction, depicted on Trajan's Column. The Great North Road near High gate on the approach to London before turnpiking. The highway was deeply rutted and spread onto adjoining land. 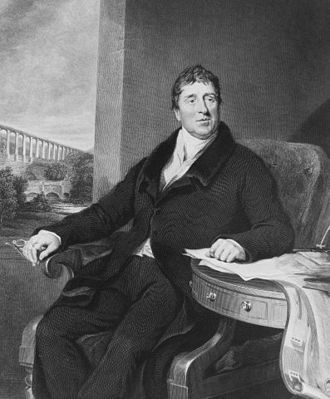 Thomas Telford, the "Colossus of the Roads" in early 19th century Britain. Two British Rail Class 143 DMUs at Cardiff Queen Street station in the United Kingdom. Both trains are operated by Arriva Trains Wales. The New York City Subway is the world's largest single-operator rapid transit system by number of metro stations, at 472. Broad Green station, Liverpool, England, shown in 1962, opened in 1830, is the oldest station site in the world still in use as a passenger station. Gare du Nord is one of the six large terminus stations of the SNCF mainline network for Paris. It is the busiest railroad station outside Japan, serving 206,7 million commuter rail, French Intercités and high-speed TGV, and international (Eurostar, Thalys) rail passengers a year as of 2016. 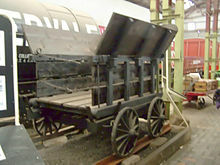 A replica of a "Little Eaton Tramway" wagon, the tracks are plateways. Screw-tensioned three-link coupling. The narrow buffers of the left-hand vehicle are sprung, the thicker buffers on the right contain a hydraulic damper. Three rail dual gauge in South Australia. 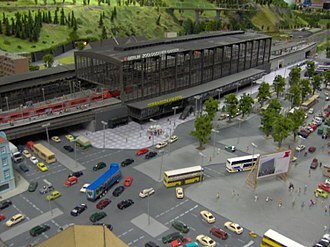 A scale model of Berlin's Bahnhof Zoo at the LOXX Berlin model railway. One of the smallest (Z scale, 1:220) placed on the buffer bar of one of the larger (live steam, 1:8) model locomotives. HO scale (1:87) model of a North American center cab switcher shown with a pencil for size. 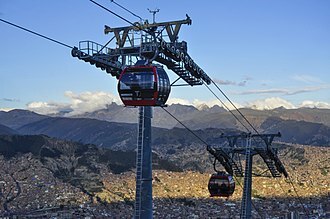 The La Paz cable car system in Bolivia is both the longest and highest urban cable car network in the world. HDPE pipelines on a mine site in Australia. Gas pipe in the dry region of Antofagasta, Chile.